Zippity do dah Zippity hey! O my what a wonderful day! 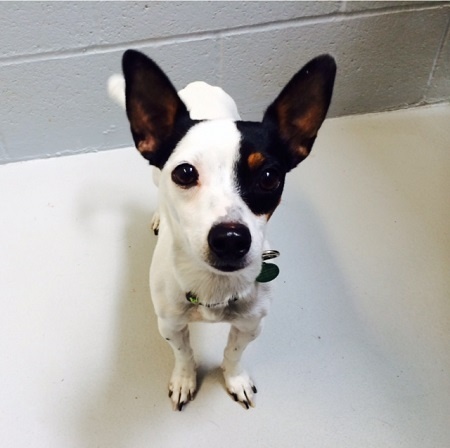 Hi there it’s Polly, the 6 year old Chihuahua Jack Russell mix. What a fun filled summer it’s been. Rafting, berry picking, napping, hot dog eating contests. I’ve done it all! With the summer coming to a close, fall is just around the corner! Piles of leaves to jump in and getting cozy in my new forever home. I’m looking forward to it. I’d fit right in at any home and at just 10 lbs I’m nearly pocket size! Are you ready to fall in love? Fill out an application at Pixieproject.org to meet me. I’m spayed and vaccinated. Adoption fee $250. Can’t wait to meet ya!